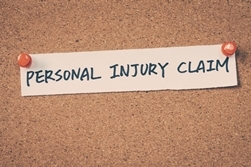 How long do I have to file a claim in a personal injury lawsuit? Most states have statute of limitation laws that place limits on how long an accident victim has to file a civil claim, such as a personal injury lawsuit. In Delaware, the statute of limitations for personal injury claims is two years, meaning that the lawsuit must be filed within two years of the date the accident—and the related injuries—occurred. Accident victims who fail to file a lawsuit within the two-year statute of limitations risk having their case dismissed. There can be exceptions—the statute of limitations may pause, or “toll,” if the victim was mentally incompetent at the time of the injury. In this case, the time limit for filing a personal injury lawsuit extends to three years after the disability ends. However, don't let the fact that you have two years to file a personal injury lawsuit relax you into complacency. Waiting to file your lawsuit can have a number of unwanted consequences. Witnesses may move, change their phone number, or forget the details of what they saw. Additionally, evidence may deteriorate or be lost as time goes by. 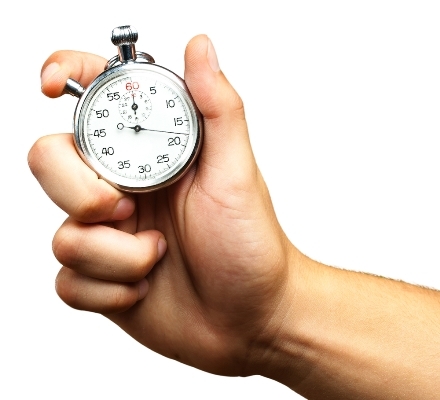 Building a strong personal injury case can take time. Initiating a lawsuit as soon as possible after an accident ensures that you and your attorney are able to talk with witnesses and document and preserve other relevant evidence while it's still fresh. Well-documented evidence and witness statements, collected immediately following an accident, can strengthen your case as you head into negotiations or prepare for trial. 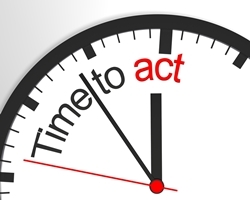 While exceptions to the statute of limitations can and do occur, when so much is at stake—it's better to be safe than sorry. If you were involved in an accident, waiting too long to act may jeopardize your right to pursue compensation for your injuries. Don't forfeit your right to take legal action. Contact the skilled attorneys with the Morris James Personal Injury Group today to schedule a free initial consultation. How is an award or settlement determined in a personal injury case? If you were injured in an accident, you may be facing unforeseen medical bills, and a long and painful physical, mental, and emotional recovery. Under the circumstances, it is understandable that you have questions about whether you can be compensated for your injuries and, if so, how much of a settlement offer can you expect. However, in all the years the members of our firm have worked in injury law, we've learned that personal injury cases can be as different as the parties involved, which makes it difficult to say how much you could stand to be compensated without first meeting with you to discuss your case. Fortunately, learning more about settlements and the types of damages you can seek can provide valuable insight to accident victims who seek a legal remedy. The severity of your injuries and the circumstances of the accident may play a significant role in determining the size of your settlement offer—this is true of personal injury cases settled both in and out of court. Ideally, after some back and forth, the attorney for the at-fault individual or insurance company will make a reasonable offer. If the parties cannot agree on a settlement amount, the case may continue to court, where both sides will present their arguments and a judge or jury determines how much—if any—financial compensation they should award. Attorneys, juries, and judges usually come up with settlement amounts by calculating economic and non-economic damages. Economic damages, also known as special damages or out-of-pocket losses, are past and future financial losses that can be calculated by reviewing a victim's accident-related bills. Examples of economic damages include past and future medical expenses, property damage, lost wages, loss of earning potential, and funeral and burial expenses. Non-economic damages, also called general damages, are more subjective and, thus, more difficult to calculate. Examples of non-economic damages include physical pain and suffering, emotional distress, mental anguish, humiliation, and embarrassment, or loss of reputation, consortium, or companionship. Do You Need Help Pursing a Personal Injury Settlement? If you were injured in an accident that was caused by someone else, you may be entitled to seek a financial award to compensate you for your injuries. Don't let another minute pass without learning about your legal rights. The knowledgeable and experienced attorneys with the Morris James Personal Injury Group are at your service. Complete our online contact form today and we'll be in touch to schedule an appointment for your free initial consultation. Considering that individuals who were injured in accidents often struggle with a number of unexpected financial obligations, it's no wonder that one of the most common questions our attorneys receive from prospective clients is about the taxability of personal injury settlements. At the Morris James Personal Injury Group, we understand. When you're paying for accident-related medical expenses, such as doctors bills and prescription medications, the last thing you want to worry about is paying taxes on a possible financial settlement. 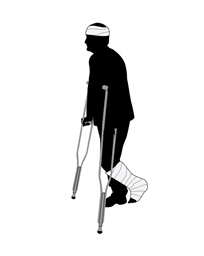 Fortunately, most of the compensation that personal injury victims receive is not taxable. However, there are some notable exceptions to that rule. Working with an experienced personal injury attorney can help you minimize the taxation of your settlement. Additionally, money paid to an accident victim to cover property damage to their vehicle usually isn't taxed, as it is also considered compensation for a loss. A breach of contract. If a breach of contract caused your injury and breach of contract was the basis of your lawsuit, the related settlement may be taxed. Lost wages or lost income. If a portion of your settlement was set aside for these purposes, that money is considered taxable “earned” income. Interest. Some states add interest to the settlement for the time period that the case was pending. Any interest earned during that time is taxable. Punitive damages. Also known as exemplary damages, punitive damages are those that are intended to punish the defendant for wanton or reckless actions, and discourage them from engaging in similar conduct in the future. Punitive damages are always taxable and are taxed in full. Emotional Distress and mental anguish. If your mental and emotional problems arose from a physical injury sustained in an accident, the compensation received may be non-taxable. However, when you receive a settlement that compensates you for mental pain and emotional suffering not related to a physical injury, that compensation can be taxed. Interest or profit earned from invested settlement proceeds. If you invest the proceeds of your settlement in an environment where it accrues interest or results in a profit, the interest and profit from the investment is taxable. If you were injured in an accident, you may be facing a long recovery period and a seemingly-insurmountable amount of medical debt. Filing a personal injury lawsuit can help you pursue the compensation you need to get your life back on track. However, with so much at stake, it's important not to go it alone. A knowledgeable and reputable attorney can walk you through each step of the personal injury process and fight to ensure you receive a fair settlement. At the Morris James Personal Injury Group, our dedicated, driven attorneys have the negotiation and litigation experience you can count on. 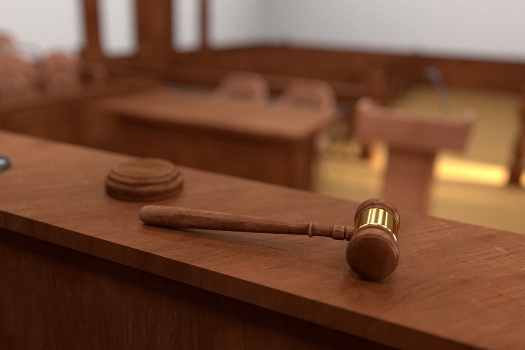 Whether we settle your case out of court or take it all the way to trial, our skilled legal team understands the concerns surrounding the taxability of personal injury settlements and will work with you to minimize that taxation. Complete our online contact form today to schedule a free initial consultation to discuss your case.